Reading some of the best-known Torah stories through the lens of transgender experience, Joy Ladin explores fundamental questions about how religious texts, traditions, and the understanding of God can be enriched by transgender perspectives, and how the Torah and trans lives can illuminate one another. 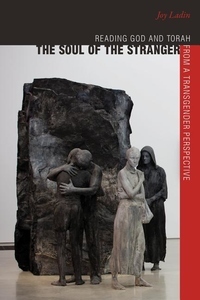 Drawing on her own experience and lifelong reading practice, Ladin shows how the Torah, a collection of ancient texts that assume human beings are either male or female, speaks both to practical transgender concerns, such as marginalization, and to the challenges of living without a body or social role that renders one intelligible to others--challenges that can help us understand a God who defies all human categories. These creative, evocative readings transform our understanding of the Torah's portrayals of God, humanity, and relationships between them.